You may be looking for summer activities for your child to help him/her keep the skills learned this past school year. We have some ideas you may want to explore. There are tutoring suggestions for using Biographies for Kids - Famous Leaders for Young Readers. 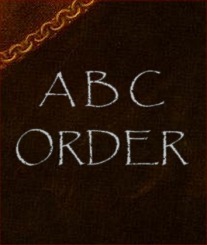 A recently added page at Garden of Praise is designed to teach children how to put words in alphabetical order. This is the method I used to teach my second graders this skill when I was teaching at Dallas Christian School. There are 70+ worksheets made for the biographies which will give the student an opportunity to practice the skill. While making those worksheets I discovered Cute PDF Writer which can be downloaded and it is FREE. You download the program then make your document as a .doc in Word. Next go to "File-Print" but instead of selecting your printer, you select Cute PDF which will show up in the options. It will save it as a .pdf. It is so easy and it works great. We have two new biographies at Garden of Praise. 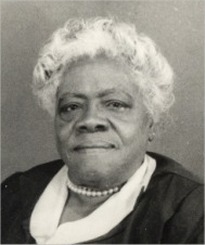 Mary McLeod Bethune was the 15th child of the 17 children in her family. She was their first free-born child after the Emancipation Proclamation freed the slaves. Her parents expected great things of her, and she did great things. Read her story about how she started a school for girls and influenced education for years to come. 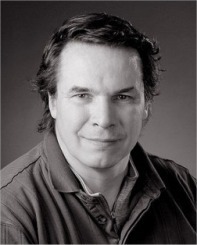 Greg Mortenson was a mountain climber. After being rescued by some villagers in Pakistan he promised to build a school for them. He kept his promise and built not only one school, but as of 2009 had established 130 schools for boys and girls in Pakistan and Afghanistan. He is the author of Three Cups of Tea and Three Cups of Tea, Young Reader's Edition which detail his inspirational adventure. Our antique rose flourished this spring and we were reminded again of the beauty which God provides for our enjoyment. 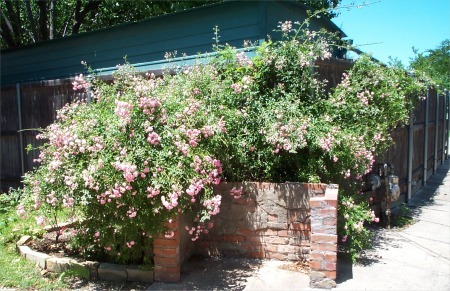 I got a start of the rose bush about 15 years ago from our mailman, who told me it came from a pioneer family in Plano. Our next-door neighbor, Lawrence who does our yardwork, trained the runners to grow on their fence, so it runs along their fence for about 10 feet. It only blooms for about a week each spring, but it's worth the upkeep. We appreciate your participation in the Garden of Praise community. If you have not participated, we encourage you to do so. A list of birthdays is posted each day. You can send each person a quick email. When you get to your profile page you will see blue tabs. You will be able to post comments which will be public, or you can contact members directly by email if they have selected that option. You can add pictures (see the "instructions" for doing this). You can find friends, view your classes, or view the results of tests you have given. Over 3000 people have signed up to use the online tests. We would encourage you to add your picture to your profile to make our community a friendly place to visit. We at Garden of Praise stand ready to help you.